A war has been going on within the milk industry for some time. It has been said milk is bad for humans because no other species drink milk of other species. However, if that makes milk bad, then humans probably better stop cooking their meat because no other species do that either. Times change, people change, and what we know about the world changes. Is milk worse than it used to be? Did we used to think milk was good until we learned more? 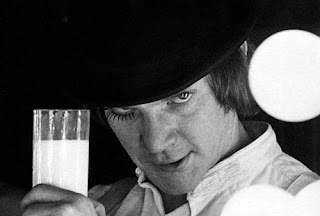 Maybe the milkman was just a dirty back door salesman not unlike a drug pusher? Raw milk is essentially the purest form of milk. In principle, it’s like a baby drinks from it’s mother. It is said to have complete nutrition, equal parts protein, fat, carbohydrates and calcium. The federal government is strictly against drinking raw milk because potentially harmful bacteria have not been killed. However, the processing that kills bacteria has been a concern for others. The contents of milk can certainly seem questionable. Professional cleaning services recommend using dishwashing detergent and ammonia to remove milk stains from carpets, as well as baking soda, vinegar and coffee grounds to remove the smell. Most people aren’t excited about eating such apparently dirty chemicals that takes industrial cleaning to get off the floor, but not everything that makes a mess is bad to eat. Otherwise, we would only eat or drink water. All that takes to clean up is a towel. Comparing evils, milk is probably better than soda. According to Snopes, the idea that a tooth will dissolve in soda overnight is not true, but Snopes concedes that the sugar and phosphoric acid will eat away at teeth over time. On the other hand, the idea that a knocked out tooth can be preserved in milk is supported by the National Institute of Health. By that consideration, milk seems to be naturally better than soda. The question, then, is not so much about if milk is bad for you, but what type of milk is best and in what amounts? Milk contains a wide variety of nutrients, such as protein, lactose, vitamin D, calcium, iron, magnesium, phosphorus, potassium, sodium, zinc, copper and so on. The biggest benefit of milk is the potassium. Humans get a good amount of salt from most foods, but potassium is more rare. Most vegetables are rich with potassium, but need to be consumed in larger quantities than people generally eat. Fat content has been a hotly debated issue with milk for a while. From that perspective, cow’s milk has less fat, less lactose, and much more protein than human milk. That should help understand why humans drink cow’s milk. Milk products with lower amounts of saturated fat are presumed to be more beneficial for hearts, though there is not great consensus. The USDA believes fat is beneficial, though critics have cautioned against the influence of the dairy lobby. The idea that saturated fat is bad has little basis and may not even be true. Milk fat is a major protein source for tissue repair in cells and helps clear debris from the blood stream. Cholesterol level in the blood plays a part in heart attacks, strokes, and cardiovascular diseases, Choosing milk products lower in cholesterol can increase the benefits so long as an adequate protein source is used to supplement the loss of milk. Harvard School of Public Health is clear in acknowledging that what matters is the cumulative count of fat and carbohydrates. A high fat diet is better than a low fat diet high in refined carbohydrates and starches. Overall, it is suggested to consume foods among the most basic food groups and have a balanced eating pattern. All products, milk included, should be used in moderation. Just because milk has less cholesterol, or less saturated fat, does not make it advisable to drink too much. One of the biggest changes in the industry is that the milkman no longer comes to individual’s homes to leave fresh milk in glass containers. Milk is purchased in stores in a multitude of formats. For a long time, people could buy whole milk, buttermilk, or canned goat’s milk. Then, lower fat milks, like two percent and skim, started to gain popularity. With raw milk outlawed in many states, the basic options currently are whole, 2 percent, skim and nonfat. Whole milk is rich in vitamins A, C, and D, while high in saturated fat and cholesterol. The high fat content, however, enables calcium to be better absorbed than with lower fat milks. Whole milk also has a fair amount of sugar, which isn’t necessarily bad. Raised insulin levels hlep move protein through the bloodstream to the muscles in need. Skim milk has the lowest amounts of saturated fat and cholesterol. With a lower glycemic index than whole milk, diabetics can avoid sugar spikes. The less sugar and fat can also mean clearer skin for some people. 2 percent and other lower fat milks are somewhat of a compromise between whole and skim. Almond milk and coconut milk both have lower cholesterol and saturated fats and are gentler on people who are lactose intolerant. Powdered milk is high in lactose, though that can be good for some people, such as diabetics, due to the slow digestion and no increase of blood glucose. Powdered milk has been controversial for the oxidation content. However, benefits need to outweigh risks. Powdered milk is significant for its shelf life and storage ability. When Hurricane Sandy hit the east coast a couple of years ago, milk and bread were the first things cleared off the shelves. That, by itself, shows value for powdered milk. After all, if you were stranded on a desert island and had only powdered milk and popcorn, which would be the better choice?